How can I find out version info about Intune Preview in Azure ? | just another windows noob ? ← System Center Configuration Manager Technical Preview 1702 now available ! How can I find out version info about Intune Preview in Azure ? In the Microsoft Intune Legacy page, you get to see version info about your tenant such as shown here. But at present (Feb 2017) it’s not that easy to see that info in the Intune Preview in Azure unless you know where to look. Using Microsoft Edge or Internet Explorer or Google Chrome (this does not work in Mozilla FireFox, you just get a blank page), log in to Azure and open the Intune Preview. In the Intune Preview portal click on the question mark in the top right as shown below with the red arrow. Click on Show Diagnostics from the options given. Press CTRL+F and in the search field type Intune and press enter. This entry was posted in Intune, Preview. Bookmark the permalink. 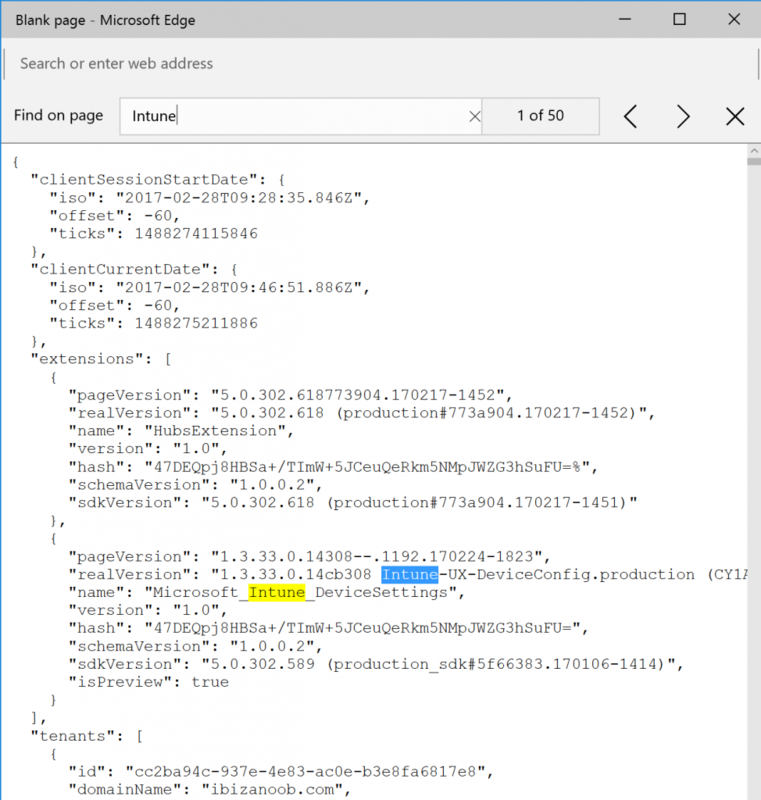 1 Response to How can I find out version info about Intune Preview in Azure ? 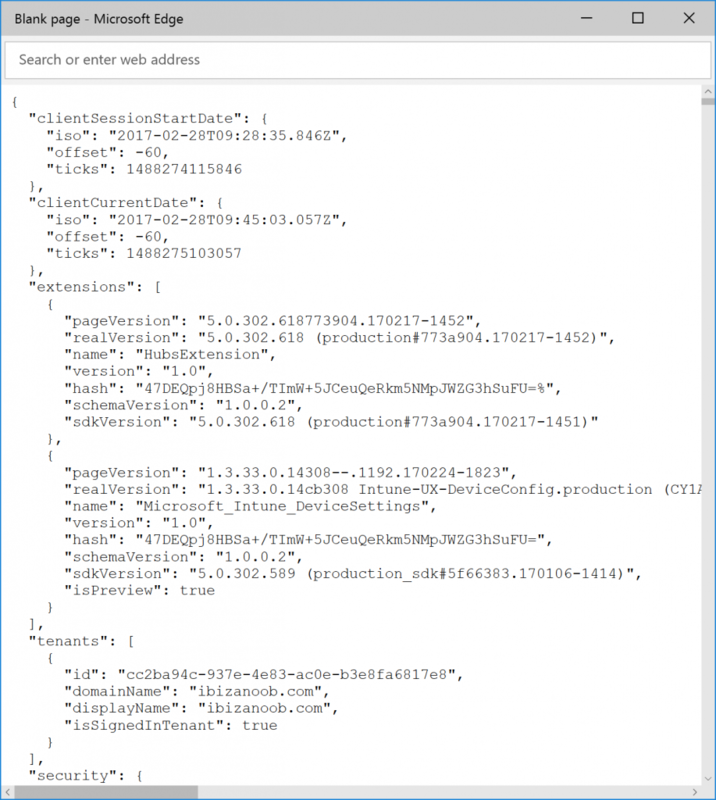 Pingback: Intune Preview in Azure get’s a new look! | just another windows noob ?